The Graco Secure Coverage has been discontinued. The Graco Secure Coverage is not a great monitor. It came in 7th place out of the 9 products we tested and only earned 43 points in our tests. It earned the lowest score for sound quality in our tests and that makes it a hard to love sound product. Even though it has a relatively cheap list price, its poor score and bad sound make it a product we can't recommend. There were other monitors in our review that scored higher with similar or cheaper price points. The Graco Secure Coverage is a digital monitor with 900 MHz frequency for no interference from phones and other electronics. The manufacturer claims a 2000 feet range and offers a vibration notification feature that lets you feel when baby cries even if you have the volume down. It comes with a low battery alarm to remind you to charge the parent unit, and a belt clip for easy transport. Your purchase will include a parent unit, baby unit, AC adapters, rechargeable battery, and a warranty. The manufacturer claims a 2000 foot range, which we were unable to duplicate in our tests. In our open field test we were only able to get reception up to 500 feet, significantly lower than the claim. While in our experience the claims rarely match our real life tests, this one is further off than we would have expected. It struggled to stay connected at 400 feet, and we felt we wouldn't feel comfortable using it past 500 feet, but in fairness it did continue to attempt a connection up to about 1300. For indoor range we were able to keep a connection up to 90 feet and through 5 walls which was the second longest range in the tests and a distance shared by several other monitors. The longest range was earned by the Angelcare AC420 that worked up to 110 feet and through 6 walls. The monitor with the shortest range is the Motorola MBP10S with a range of 62 feet and 4 walls, a distance more on par with the video monitors than sound. This monitor earned the worst score in our review for sound. Its performance rated a score of 2 of 10, far below the top scoring Philips monitors that both scored 8s for sound. The average score for sound is closer to a 5, so the Graco didn't even come close to being mediocre. The sound at maximum volume is distorted and painful to listen to; however, it definitely will make you sprint to baby even if it is just to get the noise to stop happening. We suspect though that this kind of painful disruption to sleep will actually just translate into parents turning the volume too far down and perhaps not waking up when baby needs them. The sound is very, very hollow and bright with significant distortion making it difficult to tell what kind of cry is happening in baby's room. In addition, the louder baby gets, the more static comes through resulting in even more confusion on baby's true state. Given the goal of this kind of product, peace of mind because you can hear baby cry, it doesn't do a very good job of accurately reflecting baby's cries. The Graco does not offer any kind of noise reduction, sound activation, or microphone adjustment capabilities. This means that the parent unit can and does continue to make noise all the time. You will be able to hear all ambient noise in baby's room like humidifiers, air purifiers, or normal house sounds, and you will also get a certain amount of static and white noise even if there is no actual noise happening. This is sort of a deal breaker to us. If the goal of having a monitor is for parents to feel comfortable enough to sleep and thereby possibly get more sleep, this monitor isn't likely to offer that. It is far more likely to keep parents awake with the excessive noise than it is to allow healthy sleep patterns to develop. We think it is almost essential for a good monitor to have sound activation, and with almost half of the products in our review offering some level of noise filtration it isn't hard to find one. Setup of this monitor is super easy with possibly over simplified directions. It took us just over 4 minutes to get this monitor up and running from box to ready to use. It automatically links the parent and baby devices, which is nice for parents lacking tech knowledge, and setup is a plug and play proposition. Everyday use is just about as simple because there are so few features, which means few buttons and opportunities for error. This monitor earned a 6 of 10 overall for ease of use, with the Philips Avent SCD570 earning the high score with a 9 of 10. The Motorola MBP10S earned a 3, the lowest in the group, with buttons that aren't as intuitive as some of the other products. This monitor has almost no features beyond relaying sound from the baby unit to the parent unit. It does offer a belt clip and a vibration mode so you can "feel" baby in addition to or in place of hearing, but that is about it. It supposedly has a low battery indicator, but we didn't experience it, and it doesn't have an out of range indicator which might actually be useful to ensure coverage. In general, it does what a monitor should do, but it lacks some of the features that help this kind of product do the job well. The two features we really wish it had, and are present on about half the competition, are 2 way communication with baby and voice activation for a silent monitor when baby is asleep. 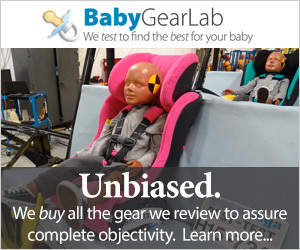 The Graco only earned a score of 3 of 10 for features, and it managed to beat 2 other products that only earned 2s, the Motorola and the Safety 1st High Def. The high score for features was 9 of 10 and was earned by Angelcare AC701. The AC701 has every feature you might be looking for and some you may not even know exist. The majority of the monitors we tested had EMF values less than 1 for their average and the reader 6 feet from the baby unit. If EMF is a concern for you, then the sound products have lower EMF readings than the video products for the most part. In addition, these monitors can also be placed further away from baby and still work well, where the video products had to be within a 10 foot range on average to work with their night vision. The Graco had an average reading of 0.69 for the baby unit. The Safety 1st High Def had the highest average EMF reading on the baby portion of the monitor with a 1.44 (1 of 2 products with values over 1) and the lowest reading came from the baby unit on the Angelcare AC701 with a value of 0.55. The Graco had a battery life right around 14 hours, which should be long enough for an entire night should the need arise. It did not indicate that the battery was about to die like some of the other products, but instead just stopped working. The features list a low battery indicator so there is a chance we just missed hearing the beep, but in our experience the unit just stopped working with no indication. This isn't a deal breaker per se, but it could be a problem if parents are asleep and think they have coverage of baby's room when the monitor has really run out of batteries. Fourteen hours is about average for the group with the longest battery time running closer to 36 hours for the Philips Avent SCD501 and the shortest being the Summer Baby Wave Deluxe with a run time of just 7 hours (not long enough to last the night). There really is no best application for this product. Some parents might be drawn to the relatively cheap price and the well-known brand name for baby goods, but they are likely to be disappointed with the monitor after using it. Given that there were products in our tests that earned higher overall scores, higher scores for sound, and have more features for a cheaper price, it is hard to find a good application for this bare bones monitor. Even if excessive noise and short range are acceptable, and you are just looking for a cheap monitor, this is still not your best bet in its price range and there are cheaper products on the market (that we did not review) that potentially work just as well for half the price. While this unit has a lower list price than much of the competition with an average price of $45, it still fails to be a great value given it poor performance. Essentially, you can get a better monitor at a cheaper price with the Best Value winner, VTech DM221 Safe & Sound Review, which earned 26 more points overall, has a higher score for sound, and costs $5 less on average. This makes the Graco monitor not a great value. If it had been half the price, then the terrible sound might have been worth putting up with, but at the current list price it just can't keep up with the competition. While it is often said that you get what you pay for, that is not the case for this monitor. The Graco has a relatively low price compared to some of the competition, but it still isn't low enough to justify the poor performance we experienced. This product scored low in just about every category with lowest score for sound out of all the monitors we tested. We feel that a product designed to relay sound accurately should do just that at a bare minimum, and this product doesn't really do that. For the price, we think you will get a much better product by purchasing the VTech option for $5 less. This makes the Graco a monitor we don't recommend. Graco makes several other monitors including video options. They offer a 2 parent unit of the monitor in this review, and analog models. The digital monitors should be better for reception and interference than their analog counterparts, but the analog versions have lower lists prices. In general, given our poor experience with this digital monitor, we are fairly certain the analog versions will also disappoint. However, as mentioned previously the poor sound quality might be something you feel you can "put up with" if the price were lower, which is the case in the analog models.